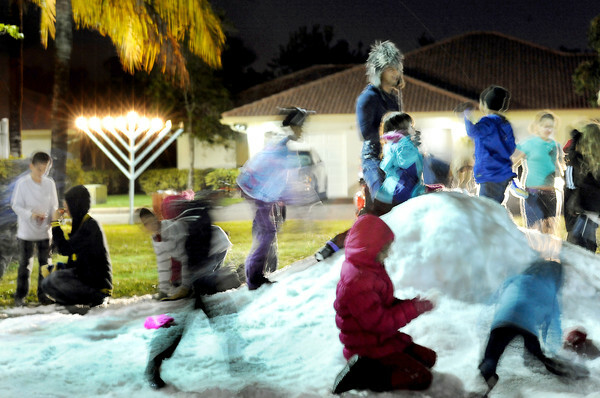 TLC Creative creates automated SNOW shows and exciting Tree Lighting events for retail and resorts. 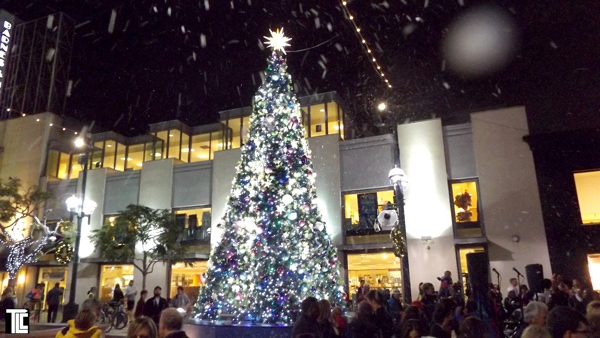 TLC created automated snow show systems for Santa Monica’s Third Street Promenade burst into life every 15 minutes with ‘snow shows’ to music that showered simulated snow around the holiday tree, creating instant delight for holiday shoppers and their kids. TLC’s automated snow shows kept people lingering in the area and across the month and a half of shows the system needed only occasional checks, refueling the snow fluid once a week, running nonstop from late November through the Christmas holidays. LED LIGHT SHOWS! 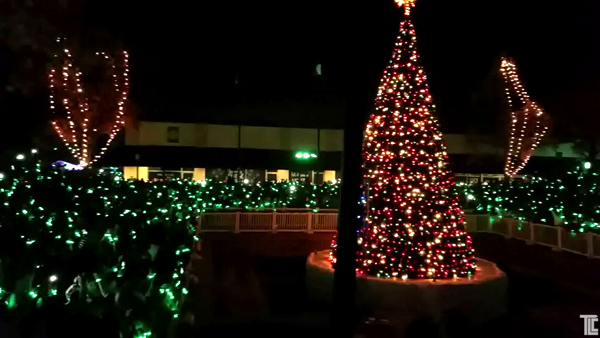 New technology Xylobands were used to light up the TREE and the PEOPLE at the same time at Christmas Tree lighting events, like this event in Dallas. 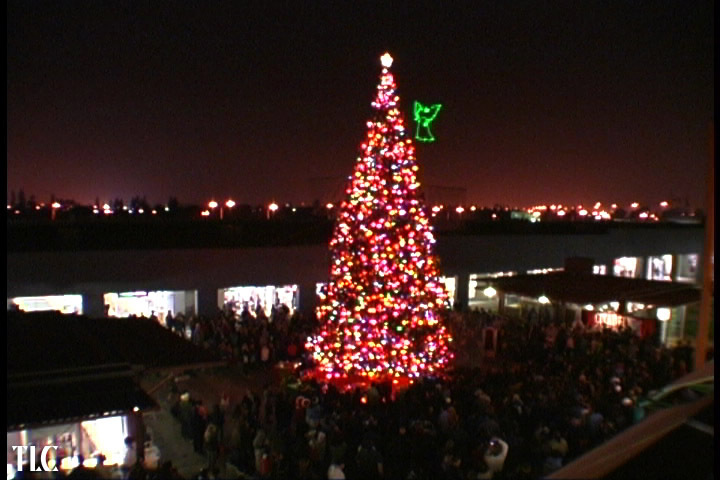 TLC created a synchronized‘tree lighting’ event that included lighting up the people and making an unforgettable moment. ICE HILLS! 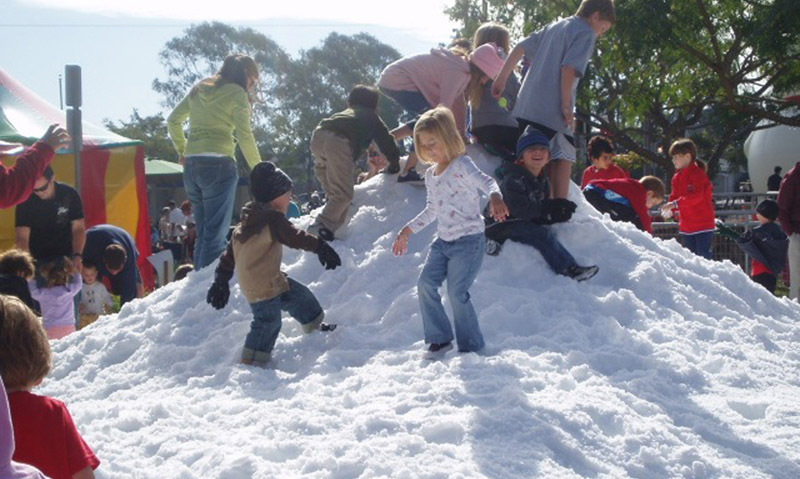 – TLC provides snow play areas at events, hills of artificial snow, sled runs, and fun for all ages AT ANY TIME of year. 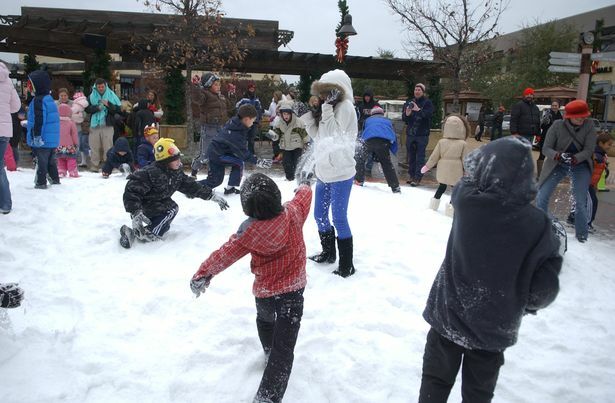 TLC sets up a SNOWY hill of white, cold fun to energize any kind of occasion with SNOW FUN.